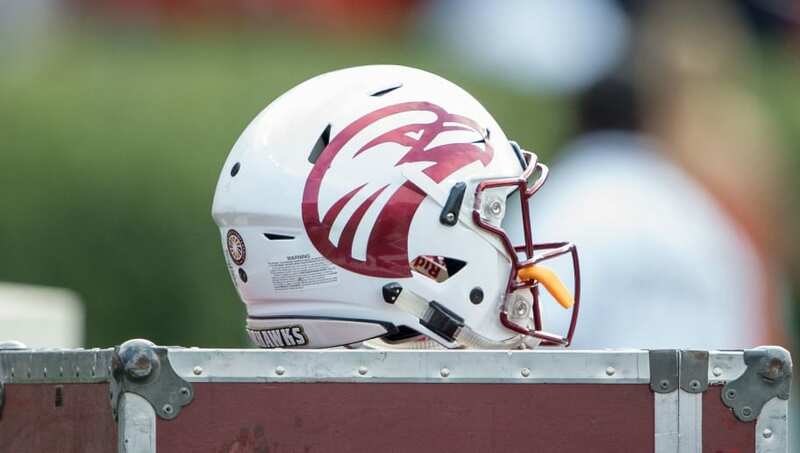 ​​Louisiana-Monroe football player Kerry Starks and his girlfriend Abriona Kirt were arrested on Sunday morning following an altercation which occurred outside a nightclub in Monroe. Both Starks and Kirt are facing domestic abuse charges as a result of the incident. Starks is said to have dragged Kirt out of Hammers nightclub by her hair after having put his hands on her throat. He then proceeded to punch out the rear windshield in Kirt's car. After Starks was apprehended and in handcuffs, Kirt allegedly used pepper spray on the 21-year-old. Police say both parties appeared to be intoxicated at the time of the incident. Starks was forced to pay $500 bond for the property damage at the nightclub, which reportedly came out to around $400 in damages. Starks and Kirt have been living together and raising a 15-month-old child. The pair began their relationship in 2016. He allegedly grabbed Abriona Kirt by the throat with both hands and attempted to drag her out of Hammers nightclub in Monroe by the hair; she then sprayed Starks while he was handcuffed. Alcohol appears to have been involved. Starks plays defensive end for Lousiana-Monroe. As a sophomore in 2018, he logged 36 tackles, 10 tackles for loss and four sacks, but his junior season could be in jeopardy after this.